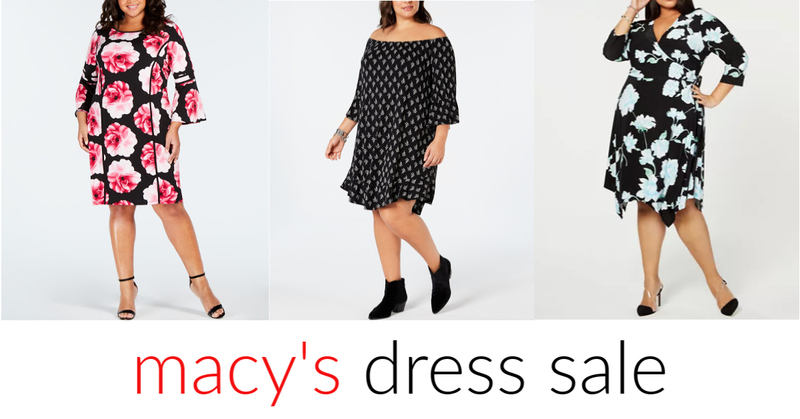 It's Time for Macy's Dress Sale! It's time for Easter and you know what that means. Looks it's time to shop for Easter dresses. One of the things that I love about Easter is the tradition of dressing up all cute. My family usually does a color coordinated theme. After church, we take pictures of us all together and share them with friends and family. I also love a good sale. Because hey, buying outfits for the whole family shouldn't cost an arm and a leg. When I heard about Macy's dress sale, I knew I had to check it out to see what I could find. When I headed to Macys.com the I.N.C. dresses immediately caught my eye. 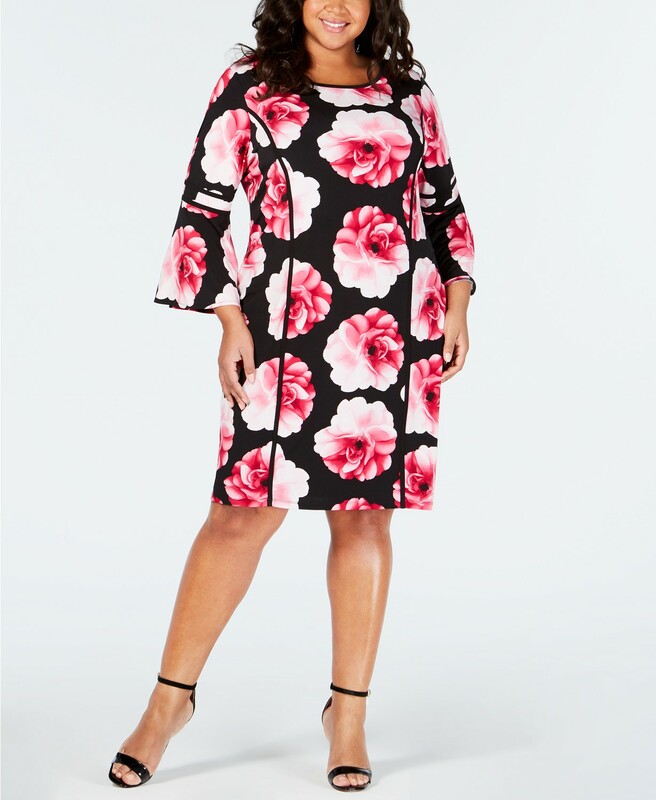 Take a look at a few of the spring dresses I peeped at the Macy's dress sale. Floral dresses are always a pretty choice for Easter. This floral off the shoulder dress is flirty and perfect for a warm Sunday afternoon hunting for Easter eggs. 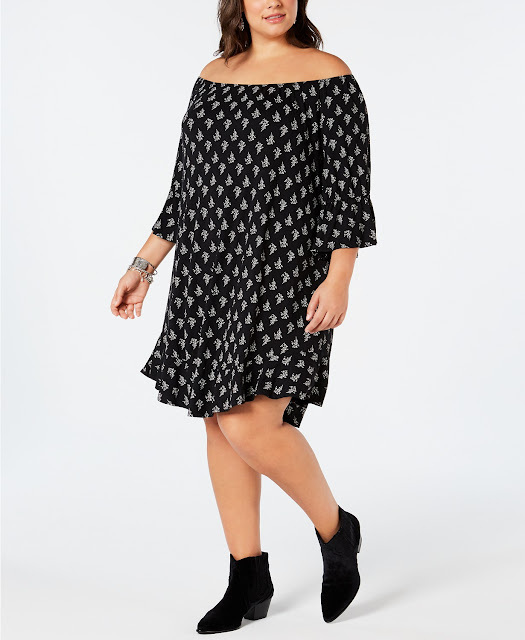 Wrap dresses are classic and forgiving to many body types. I love how they flatter my shape. If you don't already own a wrap dress, now is the perfect time to add one to your spring wardrobe. The dresses I chose were plus size but they have a huge variety of dresses on sale for all shapes and sizes. This Easter I can look good without breaking the bank. Right now you can save up to 40% off Easter dresses from brands like Calvin Klein and many others. Valid through April 13 and restrictions may apply. Have you got your Easter dress ready? Meet Stacie! Minneapolis Wife & Mama. Beauty Junkie, Budget Fashionista, Food Lover & Fun Seeker. It's Cervical Health Awareness Month, Have you Been Tested for HPV?